Andy Ellison is an MRI (Magnetic Resonance Imaging) technologist at Boston University Medical School. 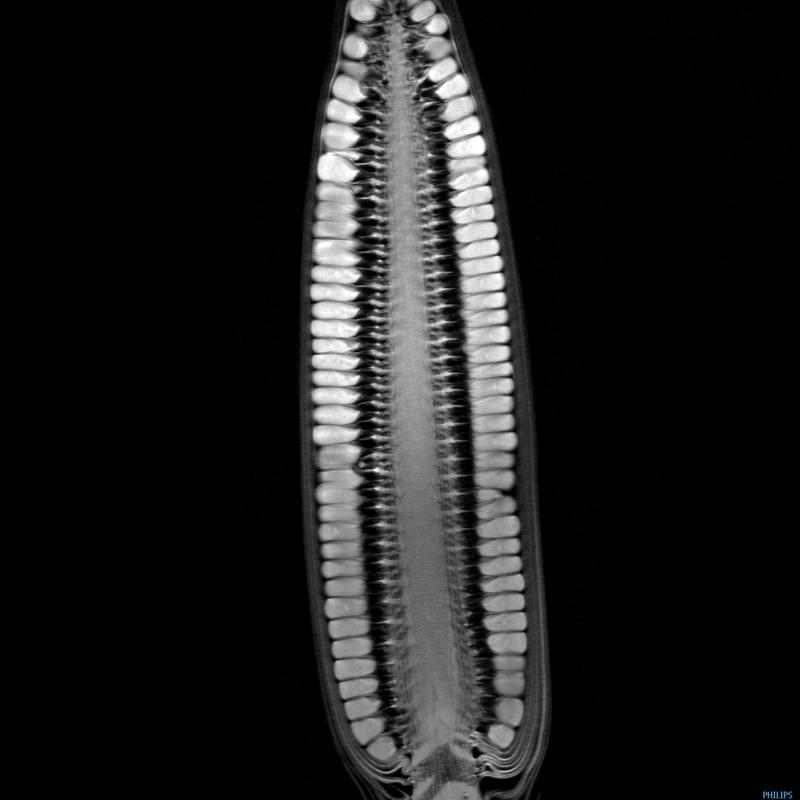 He runs a research only Philips 3 Tesla MRI and has been posting animated GIFs of scans of fruits and vegetables at his blog Inside Insides. 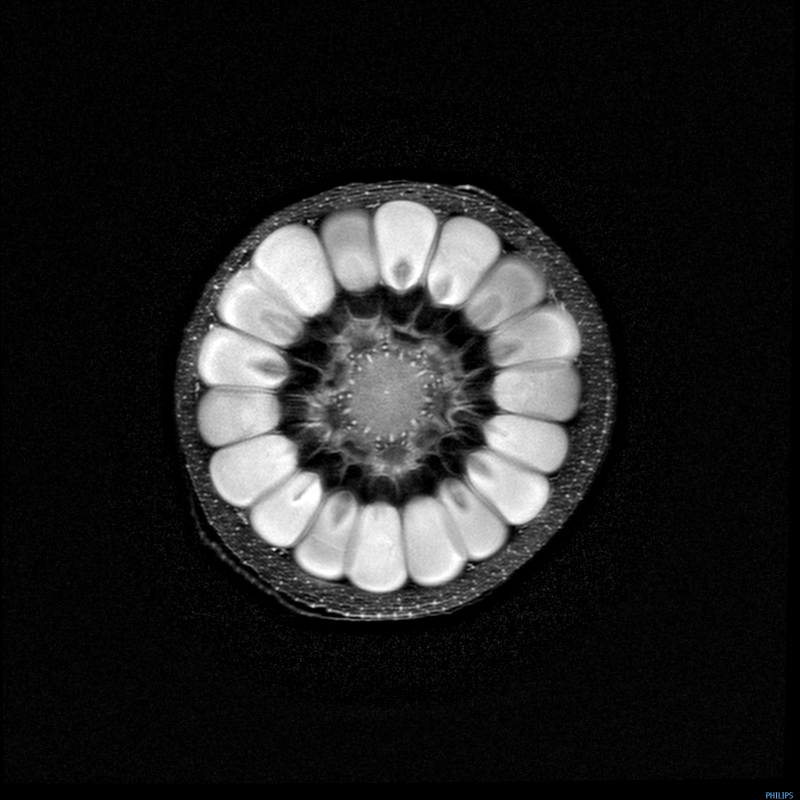 Produce was scanned to properly calibrate the equipment, the by-product and result is artful and utterly hypnotic. This set of high resolution scans are from the site Colossal. Visit Ellison’s ongoing blog for much more.